The meeting began with the mayor proclaiming Oct. 8-14, 2017 as Coming Out Week. This proclamation reaffirmed the city’s commitment to nondiscrimination and inclusiveness and highlighted the inaugural Pridefest, which took place in Bandshell Park on Saturday. In today’s national climate, it is more important than ever to show our solidarity and support for acceptance and equal rights, and it was nice to see the city embracing that effort. Beyond that, it was a fairly routine meeting Tuesday night, but there were several important items receiving council votes. See below for details and thanks for reading. This second addition of a subdivision just north of Ada Hayden adds 35 single-family homes, and includes financial securities for sidewalks. The developer is requesting Council approve this Major Final Plat before the Conservation Management Plan is in place, but even if the council does so, staff won’t release the final plat for official recording until they have the CMP in hand. This was passed as part of the consent agenda. This has been up for discussion the past few council meetings. 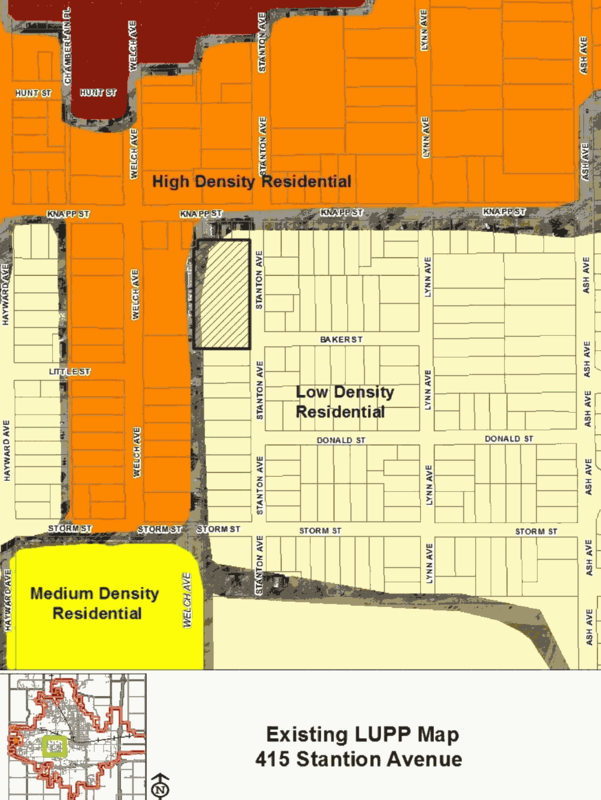 It was drawn to our attention that the Colonial Village neighborhood is not part of SCAN, and thus was not included in the original boundary included in the moratorium. This was the second reading of three for this moratorium to become an official ordinance. There were a few questions about changing the boundaries this late in the game, but the city attorney stated that it was legal to amend the ordinance up to the third and final reading. A motion was made to amend the ordinance to include Colonial Village and to update the maps used to describe the areas that will be affected by the moratorium. Under the special circumstances the mayor did call for public input on the amended motion but none was given. Motion to include Colonial Village passed 5-1 (Corrieri NO). A second issue that needed attention was the end date for the moratorium since the ordinance was drafted assuming all three readings would occur at one time. However, waiving of the second and third readings failed at a previous council meeting and changed the timeline. Without changing the end date, the moratorium would be approximately five months in duration instead of six after all the required readings and the time to publish. A motion extending the end date to April 30, 2018, passed 5-1 (Corrieri NO). With those changes in place a motion to approve on second reading passed 5-1 (Corrieri NO). There was no council support for waiving the third reading and this item will be back at the next regular meeting for the third and final reading. It was pointed out that rental agreements can still be issued for the entire city until the third reading is passed and the ordinance is published and at a previous meeting staff did indicate there had been an uptick in the number of applications. Earl May wants us to reconsider the criteria which trigger stormwater improvements to a parking lot. The current city standard is to require improvements up to code if the area being resurfaced or created is greater than 10,000 square feet. A change to these standards would apply citywide, and not just to Earl May, though its pavement improvements are what spurred this question. This is an interesting issue. Earl May tore out and completely replaced its parking lot without obtaining the necessary city permits. This construction should have triggered storm water improvements as part of three year old post construction ordinance that states “any new development or redevelopment creating more than 10,000 SF of impervious cover.” Instead, Earl May took out 25,000 square feet of impervious paving and replaced it with 25,000 square feet of impervious paving claiming it was “maintenance.” Now it is asking the city to change the criteria for determining when the storm water ordinance should apply. To me this issue seems pretty clear cut: Earl May didn’t follow the rules and should be held accountable, that’s why we have building codes, but the council was weak on this issue, moving to delay action and requesting a workshop to talk about it instead of enforcing the code and looking for remediation. Motion to delay and request a workshop passed 6-0. This developer is looking to turn the old Crawford school building into an independent senior living facility. To do so, they’ll need to rezone to high density, but presumably with some sort of agreement that the property would remain a senior living facility into the future. Also, they’re asking for the council to consider an urban revitalization tax abatement for the property. Motions approving Land Use Policy Plan and zoning changes needed to move forward on this project passed 6-0. The owner of the building that houses the Spice and Bar La Tosca would like to widen the steps to a basement unit, in order to rent it to a business. To do so will require some modifications to a small part of Tom Evans Plaza. Staff also mention other planned modifications to Tom Evans, including removal of the middle sidewalk and four “stressed” trees along the west side of the park. There was no opposition to these proposed changes or the encroachment permit to support the wider stairwell. Motion approving passed 6-0. The city is applying for over $3 million from the Federal Emergency Management Agency to assist with channel modifications to Squaw Creek, in an attempt to control flooding through Ames during times of heavy rain. Motion approving resolution passed 6-0. Council is being asked to approve this MSDP for a 12-unit apartment building west of University Boulevard near the Iowa State University Research Park. The design of this unit looks a bit different than most other residential buildings in Ames, with flat roof and corrugated metal siding, but staff feel it will fit into the modern look of the Village Park subdivision. If you build stuff that is generic people complain, if you try something new or bold people complain. The developer in this case wants to try some modern styles and materials including flat roofs and corrugated metal siding and that raised some concerns during the site plan review. Overall however, staff found the proposal meets the requirements and design guidelines. Motion approving the major site development plan passed 6-0. Not many surprises in this report, as our annual resident survey continues to show high levels of satisfaction with Ames services. The comments are fun to read, if you want a glimpse into the challenges of governing. The 35th annual survey was another overwhelmingly positive high five for Ames, just like the 34th.